In my series of digital reissues of old albums, the time has come for “Furnace”, originally released on 2:00AM Tapes in 2010. This version is remastered and has new cover art. The zip includes full quality front and back cover. And here’s a very favorable review from Terror Magazine. This album was made using glitches and loops mostly derived from recently unearthed recordings made in the early nineties. Old dusty tapes, disintegrating in the basemet for ages meet field recordings, samples from 78 rpm gramophone records with the odd drone and some instrumentation sprinkled on top. A quite bleak affair, where sludgy sounds hiss and squeek their way through the swamp, dragging along broken bones and ghosts found in the mud. The CD-R version is limited to 40 copies, and comes with a xeroxed zine featuring a visualization of the symbols. The download includes full quality front and back artwork and a PDF-version of the zine. Check out the album HERE. HIgh-Low has posted a nice review of the excellent comic “Glimpses of Comfort” by Ella Gall & Kostja Ribnik, and also my zine “False Memories”, both released on Stripnjak. In my series of digital reissues of old albums, the time has come for “Sunken Gardens”, originally released on Apollolaan Recordings in 2010. New tapes by Andreas Brandal, White Reeves/Parashi and Dusted Lux will be available next Thursday, March 24th. A Closer Listen has picked øjeRums fantastic artwork for “Elegies and Curses” as one of the best album covers of 2015. 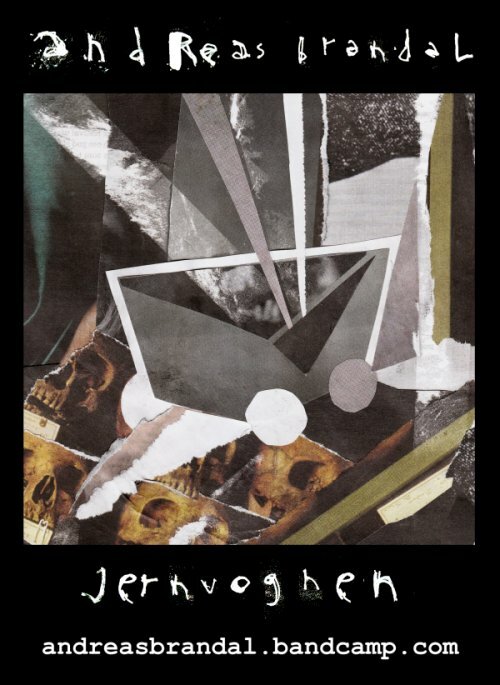 My album “Jernvognen” from 2009 (originally released on Tape Drift) is now available for streaming/download on my Bandcamp page. The reissue has new front and back artwork included as full quality files with the download.